On 7 December 2016, American Television Network NBC added Hairspray to their archive of live to air television musicals. 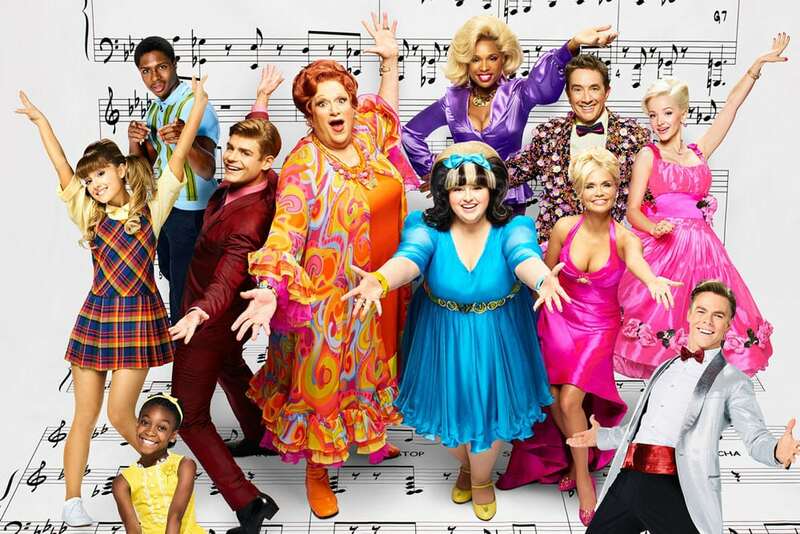 It’s a form they reestablished with The Sound Of Music, Peter Pan, The Wiz and now with the Tony Award-winning musical adaptation of John Water’s cult film Hairspray. This recording seems to have been made independently of the live broadcast and features a cast so perfectly suited to this show that it is now my favourite recording of Hairspray, topping even the Original Broadway Cast recording which I have loved for many years. Many of you will already know the story of Tracy Turnblad, a plus-sized, schoolgirl who dreams of dancing on TV. It’s a tale that resonates today, where those who don’t fit what society considers to be the “norm” do battle with those in power and ultimately win. It’s a story that is stirring enough but add Marc Shaiman and Scott Wittman’s remarkable music and lyrics and this tale is utterly irresistible. Their addictive finale You Can’t Stop The Beat just can’t be equalled. Where this recording works is in its casting. There doesn’t seem to be a single casting mistep here. First and foremost, someone got it right with the casting of Broadway’s original Edna – Harvey Fierstein. I was beginning to think that this incredible performance would never be captured on film, but captured it was with this great event and this recording is all the better for it. Fierstein’s Edna on this recording exudes every last ounce of emotion and insecurity felt by this character leading to the ultimate joy of Welcome To The 60’s and in the finale. It’s a performance which has definitely grown since the original Broadway cast album. The inclusion of Ladies Choice in this version of the show and The Nicest Kids In Town, complete with blaring brass and driving drums gives Derek Hough a chance to really let rip as TV host Corny Collins. Kristin Chenoweth as Velma is utterly sublime and together with Dove Cameron as Amber Von Tussle, the “baddies” of this piece could not be in better hands. Heartthrobs don’t come any better than Garrett Clayton, whose smooth vocals make his Link Larkin one of the best you will hear. Ariane Grande makes for a great Penny Pinkleton and the wonderous Andrea Martin is a suitably sadistic mother, Ephraim Sykes and Shahadi Wright Joseph and Seaweed and Little Inez are sublime, their energy erupts in this recording. There are several performances that will make this my preferred recording of hairspray for a while to come. Martin Short’s Wilbur especially in his duet You’re Timeless To Me is sensational. Maddie Biallio infuses Tracy with enough life force to level a small town, there is so much joy in her performance that you just will just want to dance when you hear her fabulous vocals. One performance levelled me both on screen and on this recording. It is the performance that has me coming back to this recording again and again and I’m sure will rate in my Top 10 list of all time, and it is the mind-boggling power of the incredible Jennifer Hudson. Big, Blonde and Beautiful is one thing but I don’t think I’ve heard a more moving, more powerful, knowing and truthful I Know Where I’ve Been EVER! Every time I hear Jennifer Hudson, whether it be Dreamgirls, Smash or here, it just keeps getting better and I honestly believe we have yet to see just what this incredible performer is capable of. If you missed Hairspray Live, the broadcast is available through a lot of online streaming services and can be purchased on Amazon, but if you are a fan of Hairspray or if you have never heard the score then this is certainly the one I’d recommend you start with. You’ll find yourself time-warped back to the 60’s, even now I find myself doing office chair choreography to the recording as I write this and whilst I am glad nobody can see it, it’s a good thing! Believe Me!